I have a hate/hate relationship with my 1997 Chevrolet Monte Carlo. It’s a former rental car, purchased for my wife in early 1998 from Hertz Car Sales with only 14,000 miles. 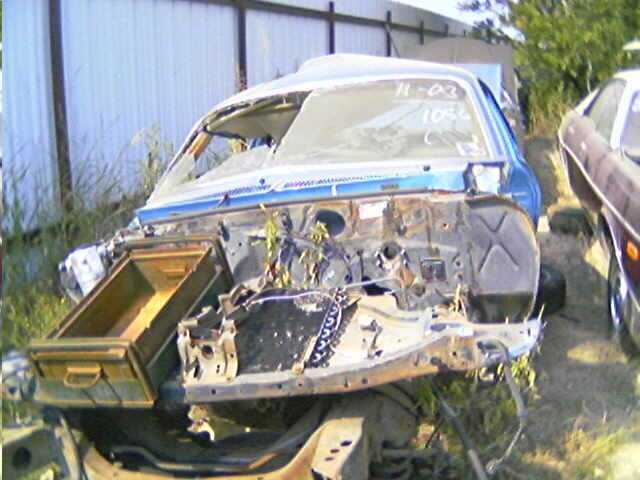 It became my “hand me down” in 2004 when we got my wife a 2002 Nissan Maxima after I wrecked my 1974 Chevrolet Nova. This Monte Carlo has no character. I gives me no pride. It does little more than semi-reliably go to and from work. 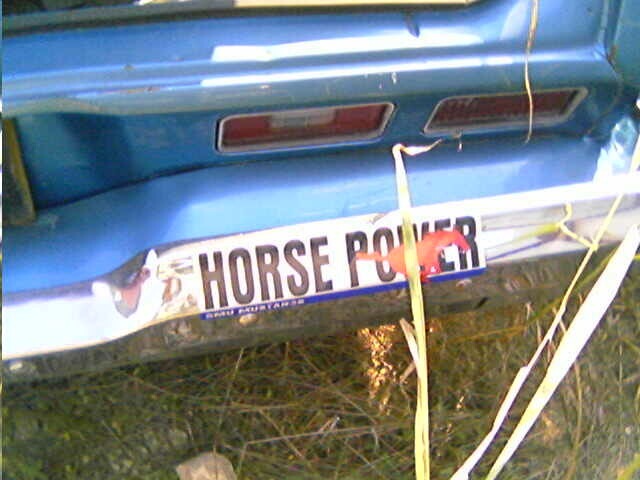 Despite all this, in an objective comparison with my Nova, it would win hands down except in the horsepower department. But my Nova had character and history. It was part of my self-identity, and it was my automotive passion. This Monte Carlo is mediocrity. It was mediocre in 1997. Today it’s less than mediocre. It’s a token child of GM’s multi-decade malaise. With my Nova, I wanted to fix everything. I’m embarrassed at how much I spent on it. With the Monte Carlo, I don’t care. As long as it’s comfortable and safe, I don’t care. I don’t care that the SERVICE ENGINE SOON light has been on for months (it’s the EGR). I don’t care that the suspension is getting bouncy. I probably need to rotate the tires, but I don’t care. I haven’t washed it in 2 years. Here’s where I am conflicted. This car almost always completely satisfies my transportation needs. It gets me where I want to go. It’s holding up better than some of my coworkers’ similarly-aged SUVs with fewer miles. It’s saving me a ton of money, especially compared to new car depreciation. Why do I dislike something that does exactly what I need? I’ve thought about this, and I may still be struggling with how I relate to cars. I used to have a car that was like an extension of me, of my personality, something I could take pride in. It was involuntarily taken away from me, and now this mediocre substitute is all I have. 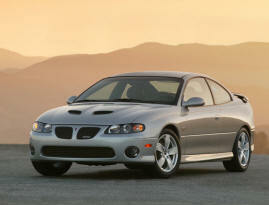 I’m lusting after the 2006 Pontiac GTO (has to be manual transmission) and 2007 Honda Civic Si 4 door. But I know I cannot buy a passion. All they would represent is a poor financial choice: appreciating assets (investments) turned into depreciating assets (cars). Oh, well. At least I can have “pride” in one thing: I practice the fiscal conservatism I preach. A fellow Nova owner’s brother took pictures of my Nova yesterday. It’s at the Little Valley Auto Ranch in Belton, TX. Seeing this Nova 1 year later is weird. It’s almost as morbid as digging up a coffin. It’s so weird to see this car’s condition and remember all I did with it. Front right fender. Rear fender tip was replaced. My dad bashed in the front part of this fender on a basketball pole. Front right fender. It’s not very usable because of the damage. The rusting hulk. Whose file cabinet drawer is that? Aah, the accumulator of the A/C system sticking off the evaporator housing on the firewall. Eww, who put a whitewall tire on the rear? Driver’s side door. The only usable door. That’s the A/C condenser on top of the radiator core support. You can see the power steering gear rebuilt by Lee Manufacturing. 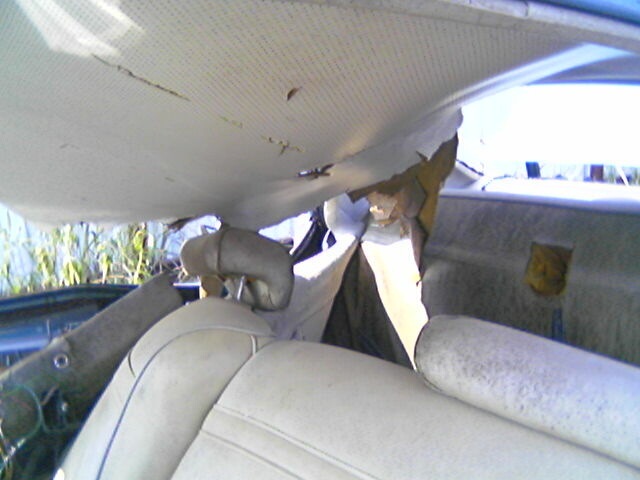 The bench seat I had recovered in 1998. 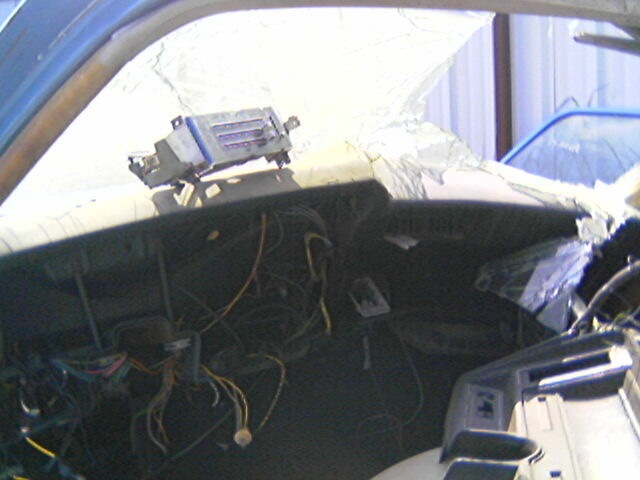 You can see the right side of the instrument panel console. Now that thing is all cut up. I couldn’t even bring myself to cut a larger hole in it for a different radio back in ’99, yet here it is broken to pieces. 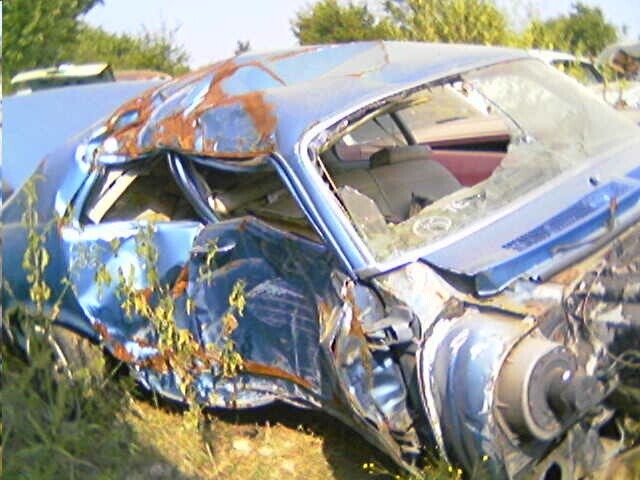 It was not in great shape after the wreck, though. Aaack, the left knob got broken off the A/C selector. This was disturbing: mold and mildew on the seats. (I originally typed “my” seats, forgetting that this isn’t “my’ car anymore.) 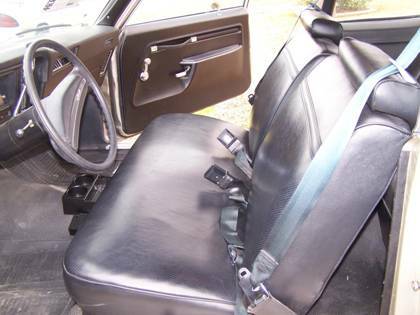 The rear seat and front headrests look the worst, but they are original to the car. 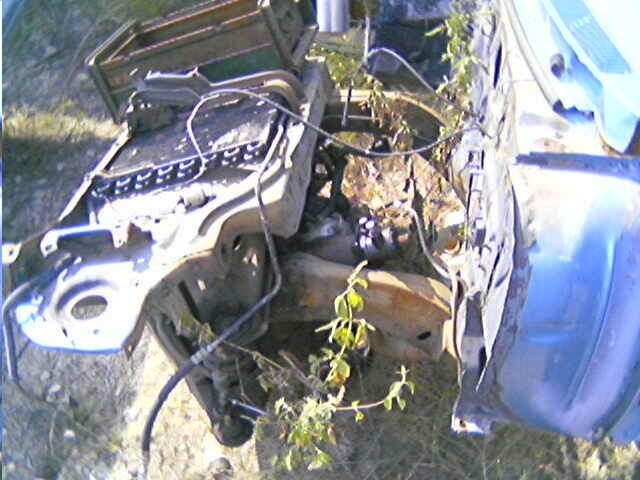 The 4 core brass radiator that solved my engine cooling problems back in ’98. 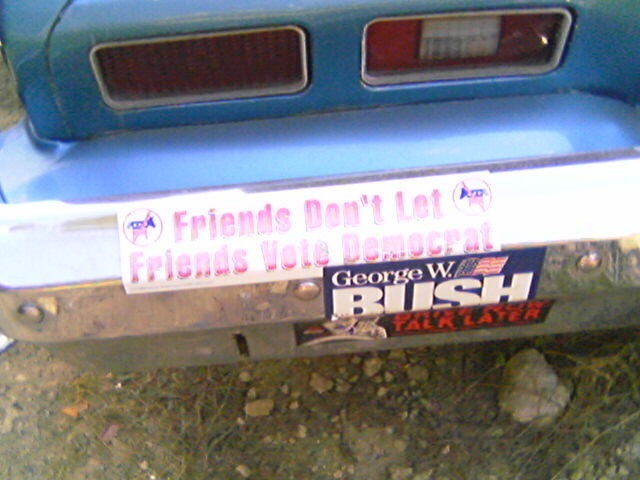 Aaaaah, the important bumper stickers are still there. Sheesh, rust is taking over. These are the brakes that malfunctioned. Lately the loss of my Nova has been getting to me. Not as in emotional breakdowns, but in the sense that a big part of me is gone, and I want it back. What do I want back? Do I want that exact Nova? If not, what do I want? Do I have an unreasonable desire? Let’s look at these questions individually. Oh, if you want to see what prompted me to write this, scroll to the bottom of this essay. Do I want that exact Nova? Sure, it was fun to show that car to people who knew me many years ago. One time I went to a town where I used to live over 20 years ago. A few people recognized the car before they recognized me. That is neat. Also, I would never have gotten into old cars as a hobby, especially Novas, had this Nova not been a family hand-me-down when I turned 17. However, this isn’t why I enjoyed that Nova so much. 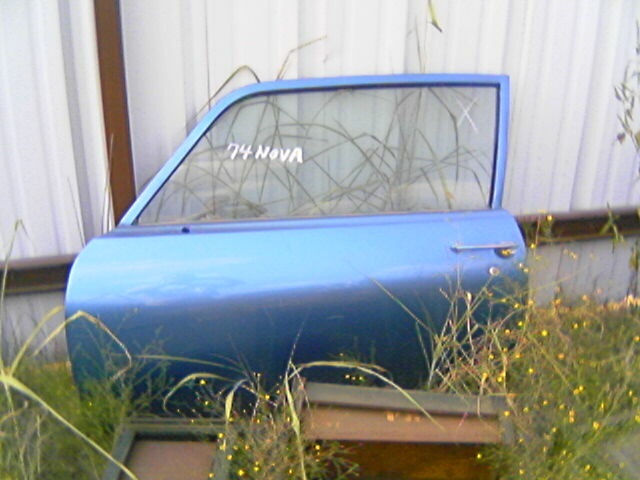 Until that Nova became “mine,” it was a piece of junk, the “other” car, the car I never wanted to be in. The paint was never right, it burned and leaked a ton of oil, the A/C never worked that well, etc. 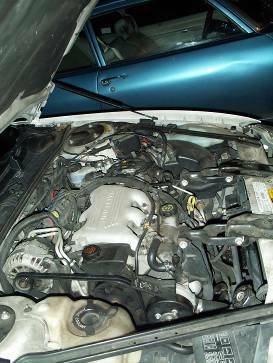 Thanks to a fortunate situation, I had full access to body shop and engine shop during the summers while I was attending SMU, and I was able to get a good deal of free expert labor in the body restoration. I also had access to a Volvo shop in Dallas for my last year of college and almost three years afterwards. With all those resources, and help from many friends and family members, I was able to transform that car into a totally different beast. A worn out, oil burning rust bucket turned into a pretty nice classic car. It wasn’t the same old family car anymore. 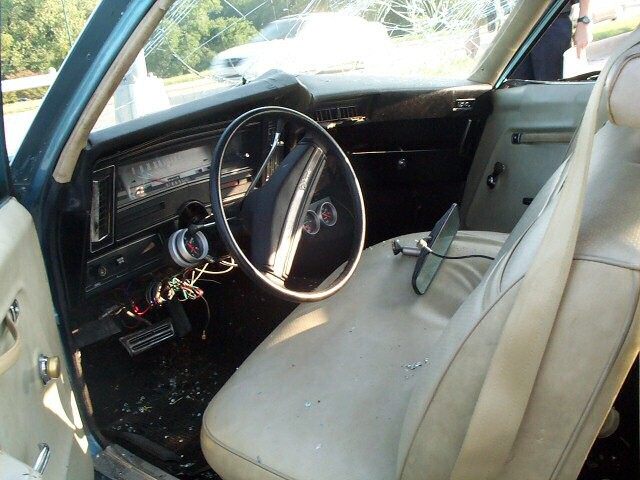 When I was driving the Nova, I rarely thought about its family connections. What I thought about, and enjoyed, were the things I had done to the car. I enjoyed being able to drive the result of my “craftsmanship” (if you can call it craftsmanship! 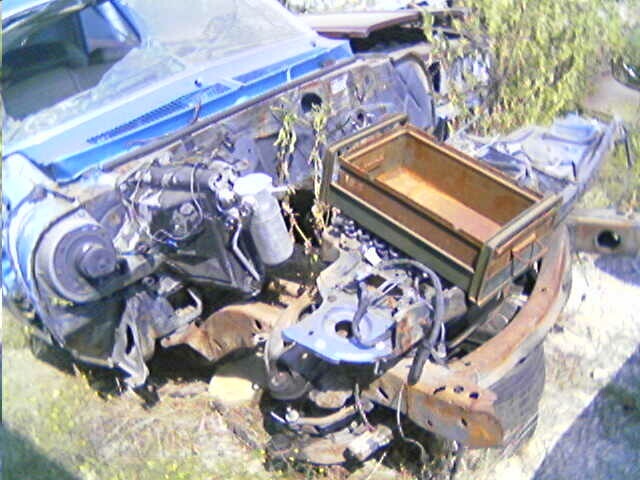 ), and a car that was built mostly to my specifications. Few people in this world can say that. I was proud that I restored the Nova differently than how almost everyone else does similar generation Novas. Most people rip out the air conditioning. Most people shoehorn as much horsepower as possible into their engines even if that makes the car barely idle and the mechanicals wear out quickly. Most people race at drag strips. Most people toss stock wheels and bench seats. Most people paint their car popular colors. There’s nothing per se with these people do with their Novas, but it’s not what I wanted. I kept the A/C running well, and I even made it run better than it ever had when I was growing up. I put in more horsepower, but I was careful to keep the car tame enough to be a practical daily driver. Heck, I took it on several long vacations. I almost never raced it, I kept the stock wheels, I refurbished my bench seat, and I repainted it back to the original dorky “aqua blue poly.” I set the car up to handle much better than stock. I know because I recently drove three bone stock, low mileage Novas (1, 2, no link for 3). 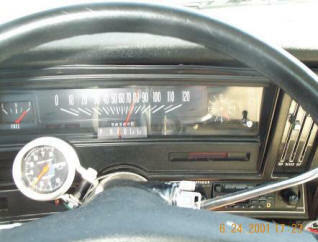 Nothing was wrong with them, but I was amazed at how poorly they drove compared to my Nova. Do I “need” that exact Nova? Do I have some irrational attachment that couldn’t be replaced with a similar car? No, and no. I do not need that exact car. I enjoyed it because of what I had made it, not because I have to have that exact car. It is gone, and I can accept that. But what do I want? That leads me to the next question. 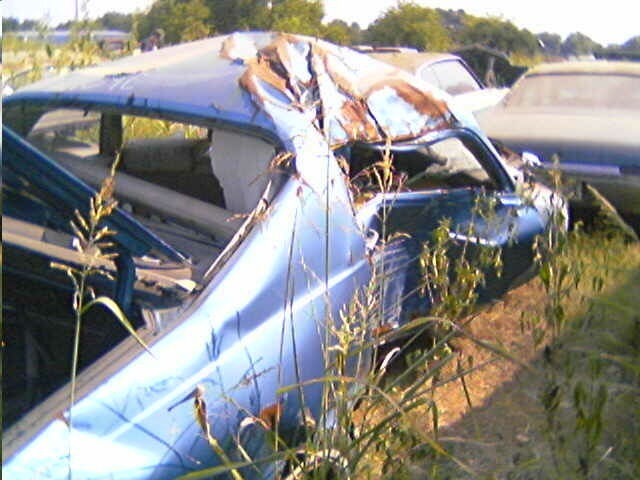 When I wrecked the Nova, I saw this as an opportunity to get into another kind of old car. But the more I looked at other cars, the less enthused I got. Other cars just don’t “float my boat” like a Nova. I also toyed with the idea of getting a newer car. 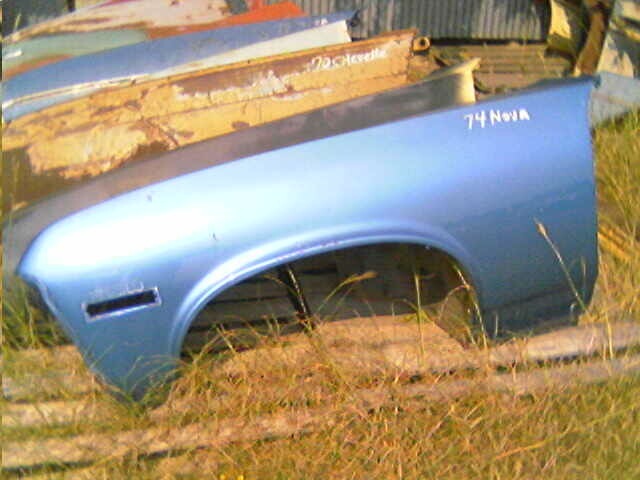 The problem is that the ones that do “float my boat,” such as the newer Pontiac GTO, are too expensive. Sure, I would love to get a 2004 GTO with a 6 speed manual. Because the 2004 models have 50 less horsepower than the 2005s, they have depreciated a lot: you can get ones with only 5,000 miles for about $10K under what the owner paid for them a year ago. They are a pretty good deal. Plus, they can get over 25 MPG on the highway. However, I cannot justify ripping the cost of one of those cars out of my savings. As earlier stated, I had my Nova set up almost exactly as I wanted it. I know that I can enjoy another Nova that is set up similarly. But a problem with most Novas is, as mentioned above, few are restored well because they weren’t intended to be driven frequently. Sure, they may have a rebuilt engine with fancy chromed parts, but woefully little was done to restore the suspension, brakes, interior, A/C, or other key parts that make the car tolerable on anything but occasional weekend cruising. So it would take a good deal of work to bring most of them up to snuff. That leads to another problem: I have more commitments than I did 10 years ago. While I can take on an occasional major project, and while I can handle day-to-day maintenance, I don’t have the time or free cash to blow on another restoration project. 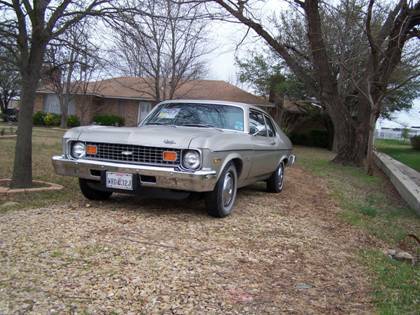 Plus, I probably need to sell my Monte Carlo if I was to get another Nova. So this means that, to make me satisfied and to be workable, I would need a really sharp, good condition Nova, something that may be considered to be too nice to be a daily driver. ’74–’79 Chevrolet Nova or GM corporate twin (but NOT the awful-looking Pontiac Ventura/Phoenix or Buick Apollo/Skylarks from ’75-’79). 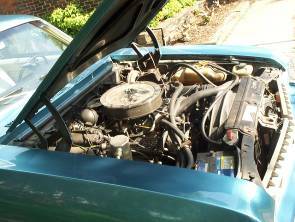 V8 engine, preferably a 350, and preferably set up as close to the GM 350 HO crate engine as possible. Stock wheels, at least 14”x7” or larger, with quality tires. All mechanicals recently replaced with new parts or rebuilt. Rebuilt suspension and steering, or superb condition original. 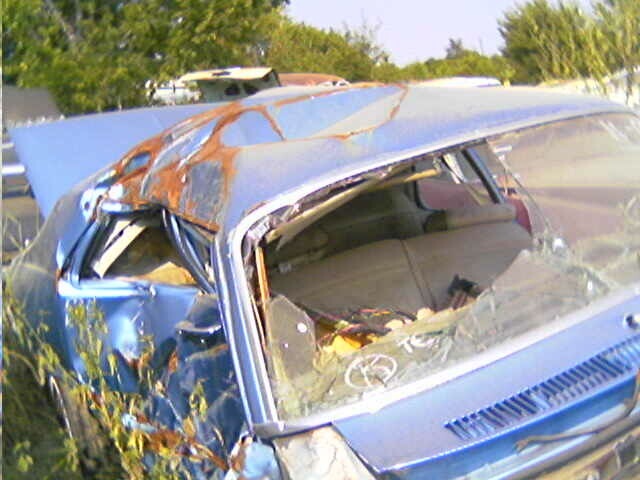 Body rot or rust holes are a serious negative. 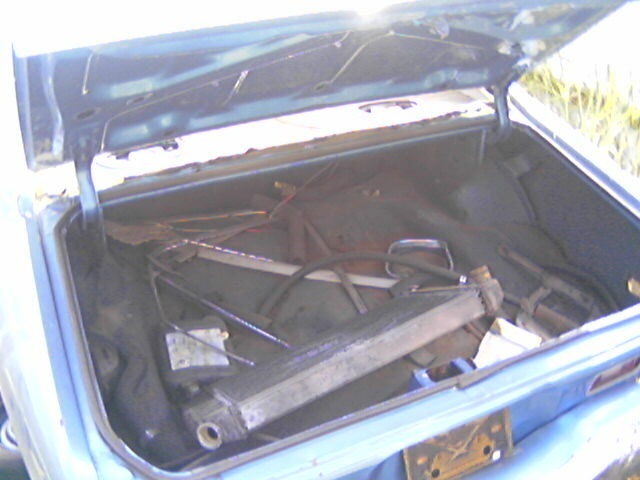 Car bodies rust from the inside, so if you’re seeing pinholes, the metal behind the pinholes is completely gone. I will probably pass up any car with body rot. A reasonable quality paint job in a reasonably attractive color (puke green is a serious negative). 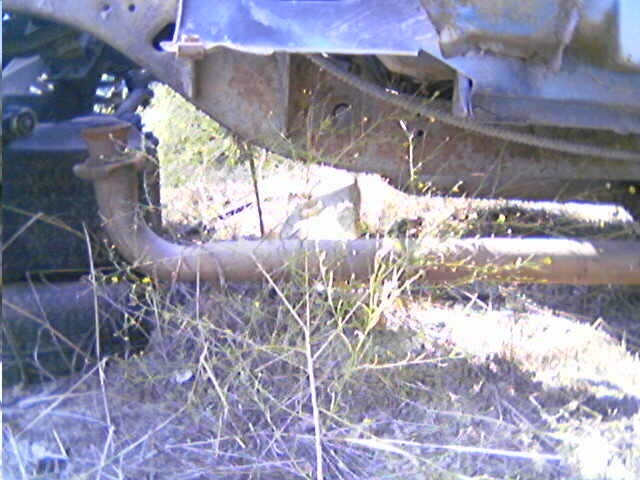 If repainted, must see evidence that body rot was handled properly. Clean, functional, reasonably attractive interior. Disc front brakes (’74 had front drums standard; front disc was optional; front disc was standard in ’75 and up). I can do 2 door or 4 door. 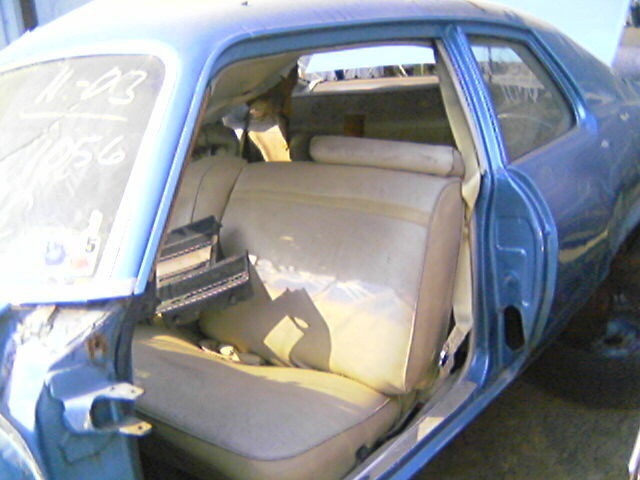 4 doors are much less expensive than 2 doors, but few people keep or restore 4 door Novas, so good 4 doors are hard to come by. I can tolerate some deviances from these specs (except for “reasonably priced”), but the more deviance, the less likely I can take on the car. 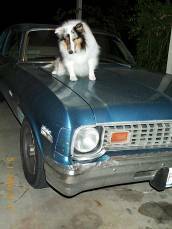 For example, I had to pass up on a really nice 65,000 mile ’74 Nova at a reasonable price in February because almost everything was the original 31 year old stuff. To date, I have only found one car that is a near perfect match for all these specifications. I’m gently trying to convince the guy that if he will come down to a fair asking price, then it will be sold immediately. His price is why his car has been on the market for 14 months and counting. Do I Have An Unreasonable Desire? This question has been weighing on me. I don’t like SUVs, and I disagree with the logic used to justify owning them. SUVs provide little true utility to the average owner, and whatever utility they do provide is either rarely used or could be provided far more efficiently with a car or minivan. How many miles are put on SUVs doing anything more than carrying 1 person to and from work? Few. 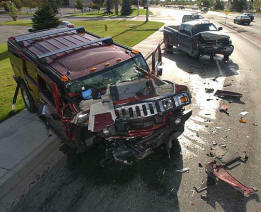 How many SUVs are capable of doing the “utility” portion of “SUV”, like going off road or hauling heavy loads? Very few. Even those that can do the “utility” stuff, how many miles are put on them for “utility” purposes? Almost none. (Look at SUVs in used car lots. They are too clean to do much utility stuff.) How many SUVs provide a practical advantage over equivalent minivans or sedans? Almost none. How many SUVs have extra gas guzzling heft and girth for no purpose other than to appear bigger than they really are? Almost every last one. With the lack of practical reasons to purchase an SUV, it’s hard to say that very many private SUV owners really need an SUV. It’s almost as if many SUV owners own an SUV just because they want to look a certain way or are just following “herd mentality.” Why else would someone choose a vehicle that is more costly to operate, much more costly to purchase (SUVs have very high profit margins—less bang for your buck, if you will), has vastly inferior handling and are less safe (SUV passengers are still more likely to die in crashes in large part because of how incompetently SUVs handle), and provides a far less comfortable ride (the absolute worst-handling vehicle I have ever driven is a Ford Explorer Eddie Bauer Edition, and the most jarring ride I have experienced is a Honda CRV)? To me, SUVs seem like the epitome of pointless spending in the name of having a particular appearance. Don’t believe me? Go count how many urban SUVs sport decorative cattle guards and other nonfunctional, useless crap. I believe that for the vast majority of owners, SUVs’ scant added utility doesn’t even hold a shadow their high costs and large disadvantages. So that leads me to questioning why I want a Nova. I already have a decent car. It’s comfortable, it gets relatively good gas mileage, and it is fine for taking me to and from work. Do I want a Nova just for appearances? Am I rushing to a bad decision, using the same bad logic that justifies the purchase of an SUV? I think—I hope—the answer is a solid NO. Sure, appearance is part of the benefit. I can’t deny that. But it is only a small part, and I hope that people who know me would agree that I am not too concerned about what others think of what I do. For me, owning and operating a Nova is a major lifestyle decision, it is a learning experience, it is a source of enjoyment, it is keeping a part of history alive, it is something other than simply “purchasing an appearance.” Also, true, while a Nova will consume more gas than my current car, I have calculated that the cost of increased gas consumption is almost evenly outweighed by the depreciation I currently experience on the Monte Carlo, even at $2.80 per gallon. A Nova won’t depreciate, especially when it annually gets less than a third of the average miles that normal people put on their cars. So I guess I have a satisfactory answer to this question. I am not doing it for the SUV fake out factor. Putting my thoughts into writing leads me to think it’s OK for me to want a reasonably priced Nova. What Prompted Me To Write This? 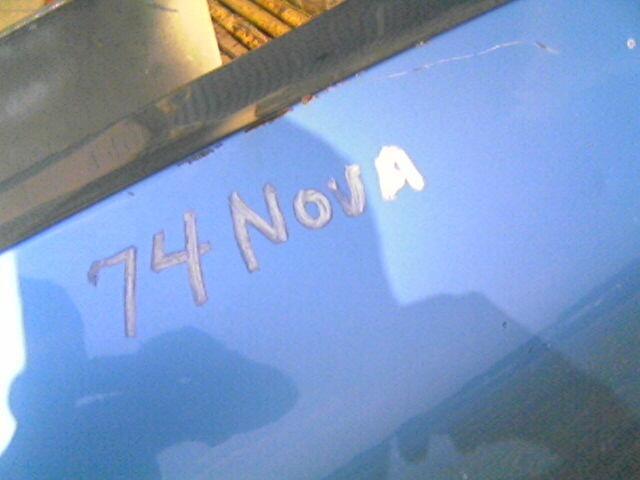 Also, I earlier mentioned that I found out where my Nova is. It’s at the Little Valley Auto Ranch junkyard in Belton, TX. Coincidentally, my old Nova and that red Nova are at the same facility. 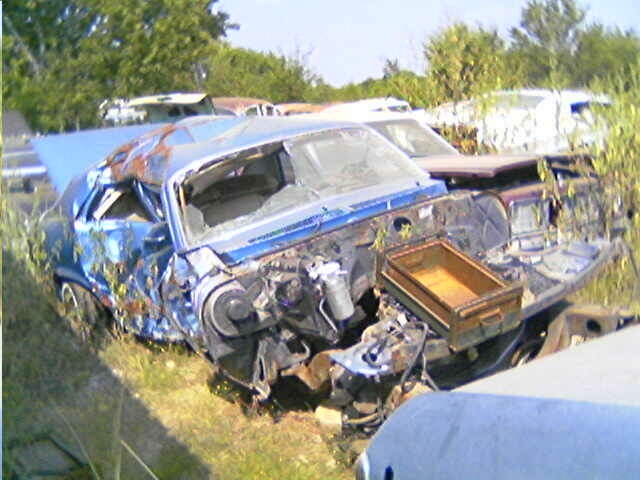 I talked with the junkyard’s owner, and he said that some of my Nova’s parts are in this red car. My Nova’s crate engine is in storage for one of his future projects. 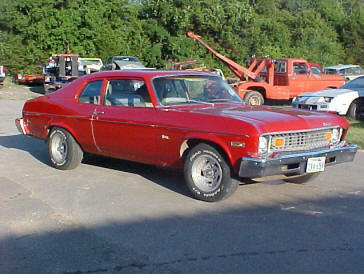 The owner told me a few more things about this red Nova, and I am not sure it is the right car for me. It has some body rot, the interior is supposedly pretty ragged, and he was not able to vouch for the quality of its restoration. 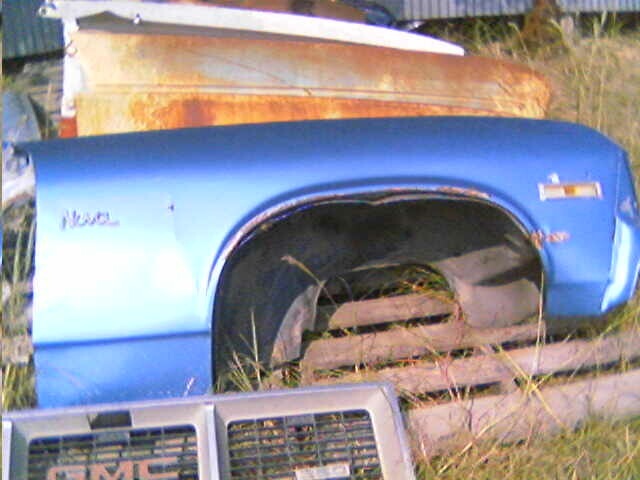 Plus if you look carefully, you’ll see that the front left fender is bashed in a little, so it needs immediate work. I have a feeling that parts of my driver’s side door may be on this car. I don’t think I want this car, but finding out all this info stirred up these thoughts. I found my Nova earlier today. It’s at a junkyard in Belton, TX. Belton is on I-35 just south of Temple. I am working with a few sources to try to get some pictures. Over the past 24 hours I had to make a very difficult decision: whether to purchase another Nova. None of the plastic was cracking or fading except for the clip that holds the seat belt to the headrest. Even the plastic supporters for the seat belts were intact! The owner let me drive it a little. It drove great, though it was a little wobbly due to the biased ply tires. But here’s the rub. The 66,000 mile drive train had 31 years on it. There is no telling how much longer it will run without major failures. The paint is 31 years old. Yeah, it looks great now, but if I drove the car I know that paint would start looking bad and rusting in no time. I would have to repaint that car almost immediately. That’s not cheap. But what ultimately did me in is that I knew I would have to put a lot of time into this car immediately to make it “right”—mainly time in sanding and painting it. I’ve done that before. It takes a huge amount of time to do a “right” paint job. 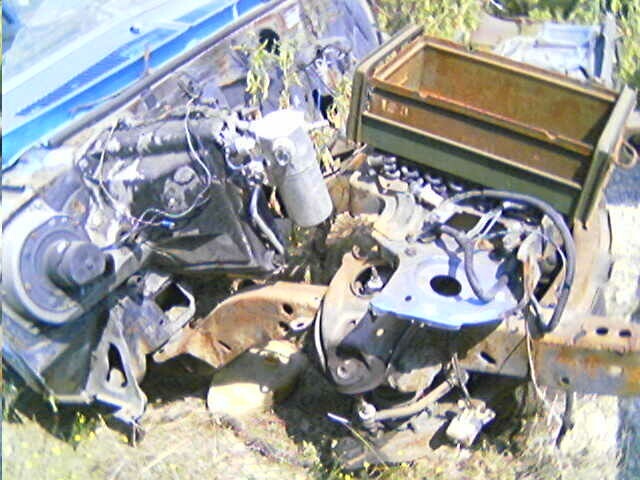 And after I put all this time into it, I would still be left with a 66,000 mile, 31 year old drive train. 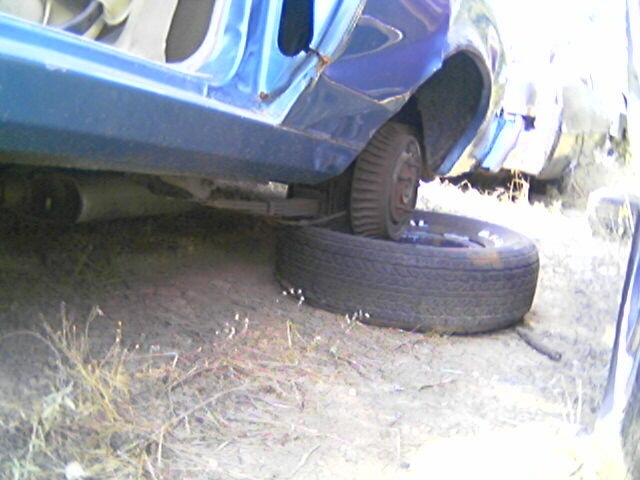 I do have time to maintain cars and fix occasional problems. But at this time in my life—with a young kid, a job, a marriage, working on a degree, and everything else—I flat out don’t have the time for a project, even one as minor as this. Dang, that would have been a nice car. I would really like to get back into the Nova scene, but the only way I can see this working is if I can find a reasonably priced, completed project car. An unrestored original would be nice only if I had the time to go through it.